If you like shopping in stores, you may find fewer of them in the next seven years. Analysts at UBS predict 75,000 more stores will likely close their doors if online shopping continues at an aggressive pace. The reason is simple. There are only so many shoppers, and they have only so much money and credit. If more of it is going into online channels, then less of it will go into brick and mortar stores. In a note to clients, UBS explains its math: online channels such as Amazon are expected to grow their share of the retail sales pie from its current 16 percent to 25 percent by 2026. If that happens, as expected, it would force the closing of 75,000 retail stores. Strong 2018 performances by Walmart, Target, and Macy’s have blunted recent talk of a building retail apocalypse, but the UBS analysts say the trend may be hard to stop. They say online sales will likely take the heaviest toll on retail stores that sell clothing, electronics, home furnishings, and even home improvement products. The damage to brick and mortar retailers has been well-documented in recent years. Sears has closed hundreds of its stores since 2016 and was a shadow of its former self by the time Chairman Eddie Lampert purchased the remaining assets in bankruptcy. 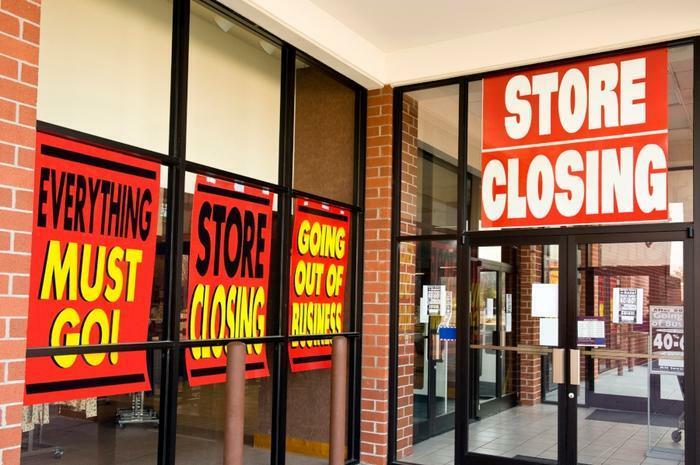 Other retailers shuttering locations in the last couple of years include Payless, Toys R Us, Sharper Image, Abercrombie & Fitch, and JC Penney. The UBS analysts acknowledge that brick and mortar retailers upped their game last year, but they said the pace of productivity will be hard to sustain throughout 2019. “This will likely lead to an acceleration in physical store closures in the upcoming year,” the analysts wrote. Coresight Research reported this month that a number of diverse factors are combining to create headwinds for retailers. They include saturation of physical retail space, changing consumer trends, a declining middle-class population, a shift to e-commerce sales, and rising debt among retail companies. The report says that so far this year seven retailers with more than $50 million in liabilities have filed for bankruptcy protection.